I prefer the color scheme of the inlays on the DV-73. Well, there is Rustic Red, Barn red, Rookwood red, Chinese red, Roycroft Cooper red, Crabby Apple, blah blah blah. It's basically a barn red with brown undertones. Color technology is amazing today. There's something to be said for the "wise old Turks" though too. My friend's Dad was a residential spray painter, and he had all the formulas in his head. I had him put the finish on the banjo I built from a Saga kit, he did a really nice job. 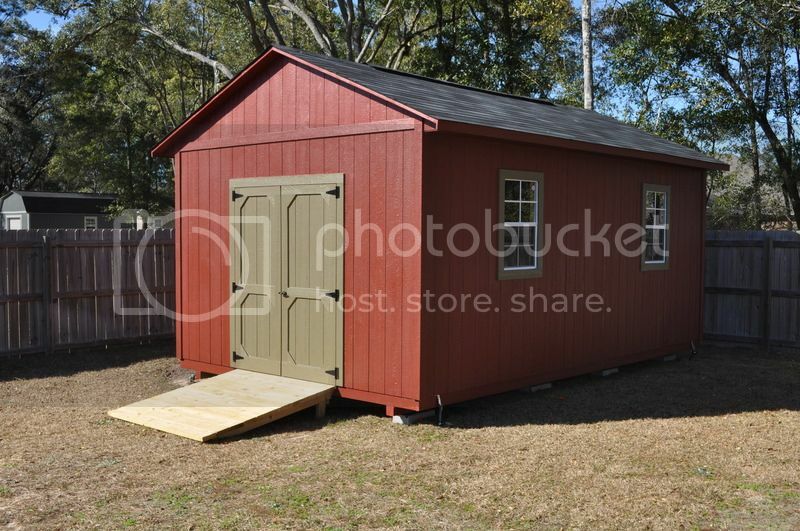 The reason I ask is, I just painted my shed this year and it looks identical in color and it was painted with Sherwin Williams. The rustic red and red barn colors are pretty similar. I think the rustic is just a tad darker. Can't wait for Apple to market an IPhone XR in that color! Nice shed! Sorry about the HOA though. So far, the HOA folks seem pretty reasonable. Keeps the neighborhood from going to seed. My experience has been that good neighbors keep the neighborhood from going to seed. Lived in a HOA 'hood once, and I've never seen so many self-serving people with way too much time on their hands.